Tulip Bar and Restaurant is located on Pakington Street, Geelong West – Geelong’s vibrant centre of multiculturalism. Situated at the north end, Tulip is nestled amongst boutique shops and select restaurants characteristic of the cosmopolitan precinct. 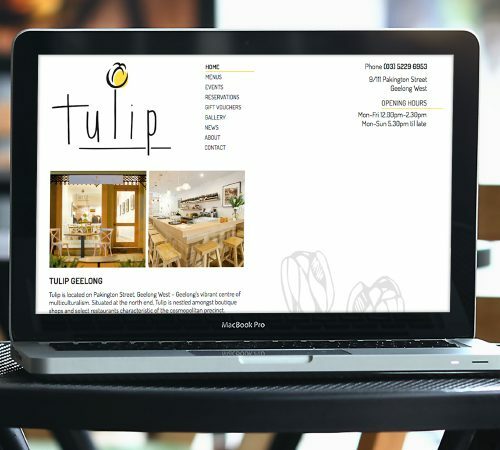 Martlette was fortunate to be asked to design this responsive website for Tulip and very proud of the simple elegant design that reflects the contemporary but relaxed vibe of this wonderful addition to the Pakington Street dining experience.